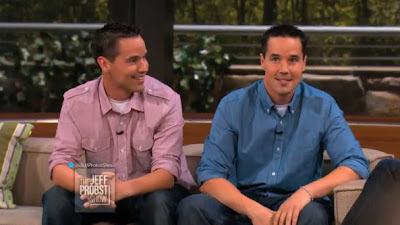 Larry and Gary Lane shared their coming out story on The Jeff Probst Show. The 'Hollywood to Dollywood' stars share with Jeff how they each realized the other was gay and the difficulty in coming out in a very religious community in North Carolina. Hmmm I am still trying to decide which one I like best :) The one on the right! Or the one on the left! 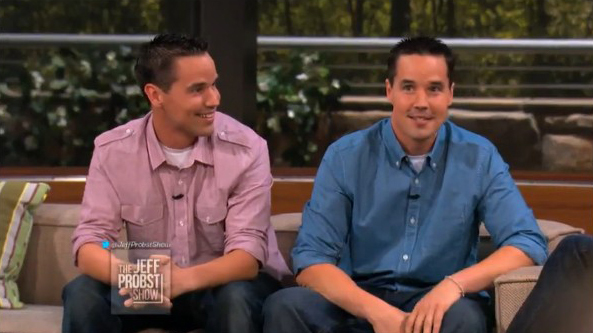 Watch the twins talk to Jeff Probst after the jump.